After nearly 40 years of worldwide performance and recording, The Sixteen is recognised as one of the world’s greatest ensembles. A special reputation for performing early English polyphony, masterpieces of the Renaissance, Baroque and early Classical music, and a diversity of 20th- and 21st-century music, is drawn from the passions of conductor and founder Harry Christophers. 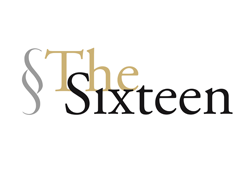 The Sixteen is at an exciting time in its development with an ambitious programme of around 70 concerts a year including the annual UK Choral Pilgrimage, a major new tour with The Sixteen’s Orchestra, overseas touring, up to 5 new recordings per year and a vibrant Participation and Learning Programme which includes the flagship young artists scheme, Genesis Sixteen. We are seeking an individual (we are open to full-time or part-time applicants) with creative flair and a passion for music education who will lead and manage The Sixteen’s educational activity and strategy. The Education Manager will also have finely tuned organisational skills and will have at least three years’ relevant experience. Key responsibilities currently include managing and administrating: The Sixteen’s young artist programme, Genesis Sixteen; the Choral Pilgrimage annual workshop and chorister masterclass series; a series of Schools’ Matinee Concerts; and general outreach activities. The Education Manager will help shape the future direction of The Sixteen’s education work and will have the opportunity to devise future education projects around The Sixteen’s core artistic plans as well as developing community engagement through the arts. For a job description, and to apply for this role, please email or post a CV and covering letter (no longer than two pages), to Amy Donaldson by 12pm, Friday 16 March. Interviews will be held during the week of 19 March.